LUMBER BRIDGE, N.C. (WTVD) -- There's probably no better sound than the pitter-patter of little feet in the hallways and the gentle hum a massive chiller outside several Hoke County Schools. 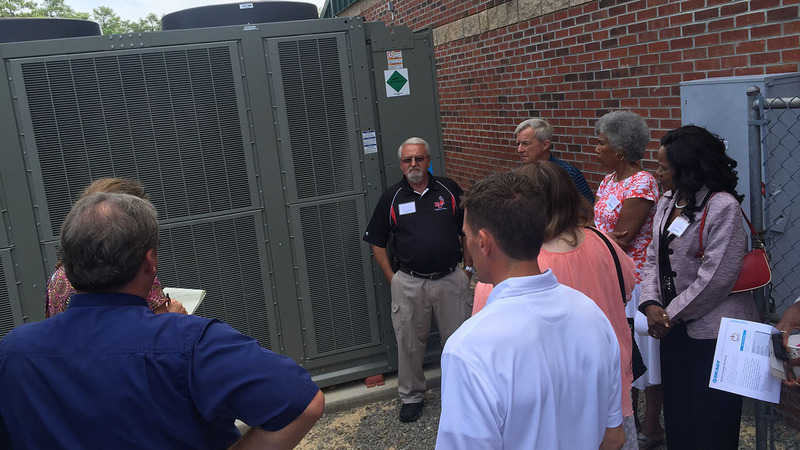 On Monday, the students in four district schools returned to functioning air conditioning, an improvement that's a part of a $6.2 million energy saving partnership between the schools and North Carolina-based Brady Company. "It's important that we honor our word," said Dr. Freddie Williamson, Superintendent of Hoke County schools. "We promised our parents and community that we'd have this resolved and we've been able to do that." Last fall, the chillers in several schools began to shut down. Some were the original units installed in the 1970s. In the case of Rockfish Hoke Elementary, the district had to close school early because kids couldn't function in the heat. About 8 months ago, Williamson said the district began working with Brady on the energy saving project that would include the chillers. It would also factor in district-wide improvements like LED lights, doorway weatherization, and digital control systems. Construction began in May with the chillers at the top of the installation priority list. "This isn't just an energy project," said Brady's director of engineering, Andy Nightengale. 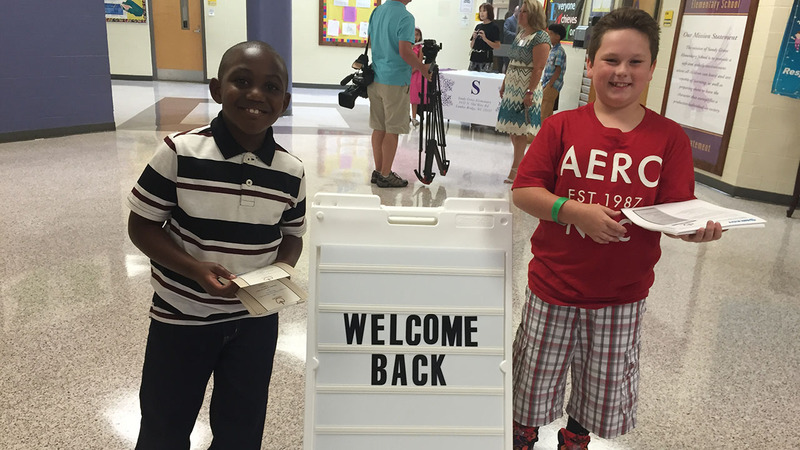 "We're also trying to make it a better learning environment." The process began with an energy-related diagnosis, a lengthy process in which engineers figure out the district's energy consumption and how to cut back. After crunching the numbers, Brady estimated the $6 million would pay for itself in energy savings over the next 15 years. That's music to the school district's ears in a time when the legislature hasn't come up with an education budget for the year. "We're a fast-growing county and our local dollars need to be going towards new school construction," said Williamson. "So without this opportunity, we'd still be struggling." Brady had completed similar projects in several North Carolina schools districts, including Durham County. They also put one in place for the state art museum in Raleigh. Brady officials said it was made possible by an energy saving initiative state lawmakers passed in 2006, but the move hasn't caught on as quickly as it has in other states. "Once everyone finds out how successful this can be, we're hoping a herd mentality will catch on," said the company's president, Jim Brady. Brady noted the savings in this type of project go beyond energy costs. He said it also boils down to manpower. There's no longer a need to call the maintenance man for every little thing in every school, like changing light bulbs. "Now we've got light bulbs that will last ten to 15 years," Brady said. Each of the chillers has an estimated lifespan of 23 years and the remaining improvements should last between a decade and 20 years. "Relieved," said Williamson. "We're very relieved.